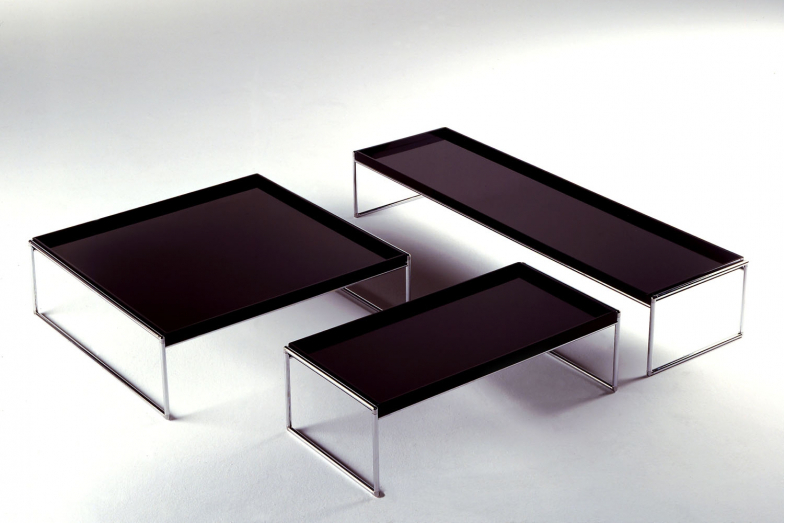 Trays is an articulated system of table surfaces for the home or office. 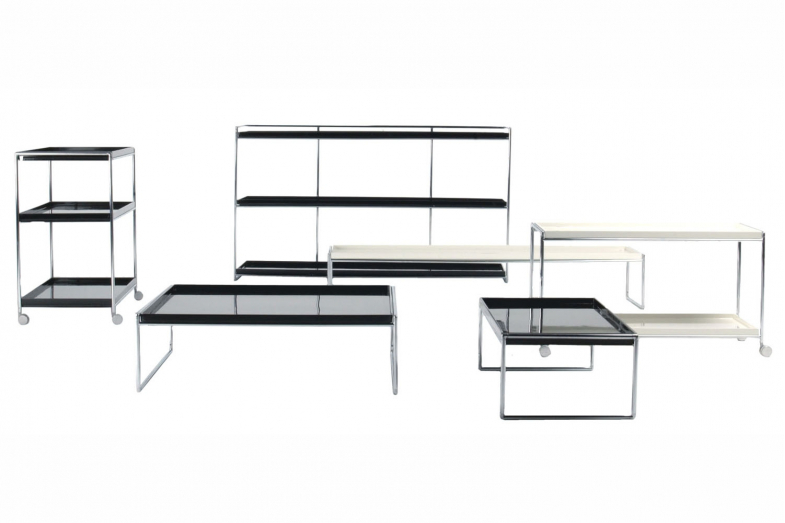 The designâ€™s construction concept is based on small tables and shelf systems, with patterns and finishes which resemble lacquered Japanese trays. 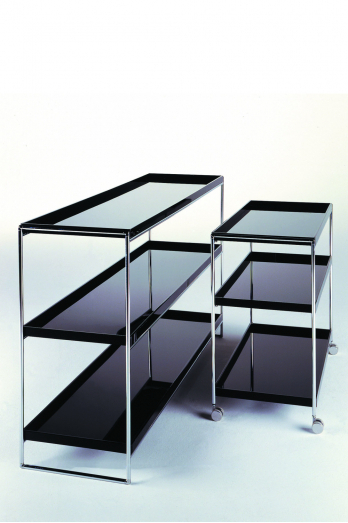 The table tops are made of solid, refined methacrylate and come in gloss black and white. They are available in three standard sizes and are fixed onto structures of differing heights, either floor-standing or on castors. The collectionâ€™s overall design hints at the idea of lightness and elegance without compromising stability and durability. Available in rectangular dimensions, as well as square, the table tops can be white or black and the support is in chromed steel. With the option of dismantling the metal supports, which have a special, angled coupling to lock them in place, the packaged product is perfectly flat, making transport and storage more practical. Another addition to the Trays system is the trolley version on castors with three superimposed shelves of 80 cm, or in a bookcase version with shelves of 140 cm.